Enlarge The Excellence scart cable transmits picture and sound in impressive quality. The silver-plated signal conductors are double- shielded and end in a robust plug with 21 gold-plated pins. It is fully-wired and transmits the signal standards FBAS, S-Video, RGB and stereo sound. 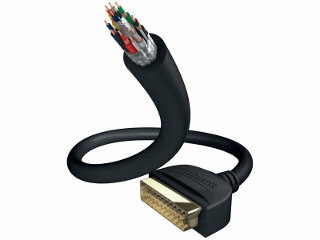 Enlarge Fully-wired scart cable with separately shielded leads and an additional overall shielding. The plugs are designed so that they it into sockets that are very close together. 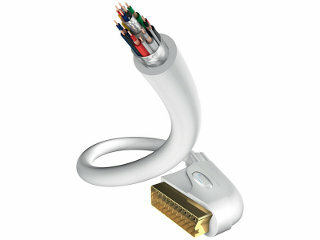 Enlarge Fully-wired scart cable with gold-plated contacts and singlescreened leads. 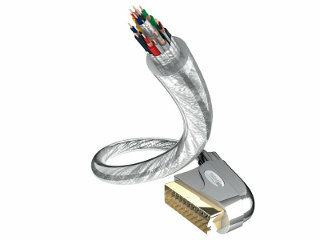 Flexible applications with straight cable leads.